← EarPods “Pro” + iPod nano = iWatch? We are now in a digital world. We try to quantify everything. We love to use numbers to represent ourselves and our experiences. Our remembering self is not equal to our experiencing self. People are confused about their feelings. Anyway it seems that numerical records of our my sport activities motivate us me to do more exercises. 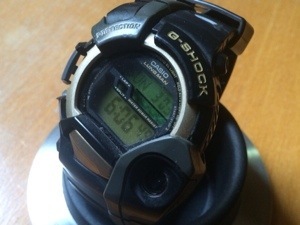 I bought in year 2000 my first electronic sports gear: Casio G-shock Lung Man. It is still working today. -5 Alarms with ability to set to go off on particular date. -the thermometer is not sensitive. It is usable to measure stable environment such as room temperature. -the pulse sensor only takes readings accurately when I am not moving. Which means I can only measure my heart rate AFTER jogging, not during it. -the device is an silo. There is neither data storage nor data export/synchronisation. I have to manually record my data. I don’t like doing it. -the plastic body wears out. Yes, it was built in year 1999. I don’t blame it. I want my next electronic sports gear.